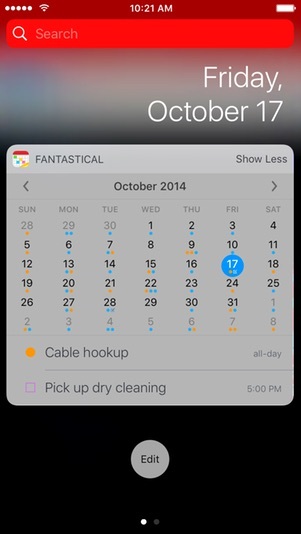 Fantastical's DayTicker is the efficient and enjoyable way to view your schedule. 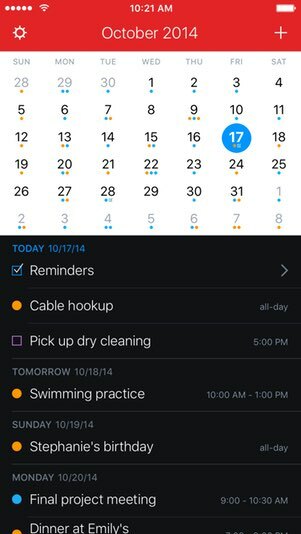 Make sense of your upcoming schedule and quickly swipe to see the past and the future. Even better, the DayTicker and the event list are connected. Swipe the list and the DayTicker will update automatically. 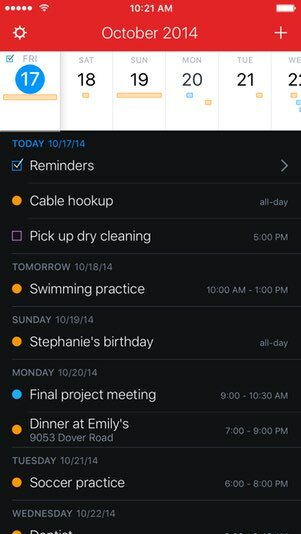 Fantastical lets you see your events and reminders like never before. If your device supports dictation*, you can also speak the details of your event or reminder and Fantastical will automatically interpret your speech. Prefer to see your schedule the old-fashioned way? No problem at all. Pull down on the DayTicker and it will conveniently turn into a month calendar. Pull down on the calendar and you're back to the DayTicker. Best of all, Fantastical works with the same calendar accounts already set up with the built-in iOS Calendar app: iCloud, Google Calendar, Yahoo, Exchange, and more! Just download Fantastical on the App Store, launch it, and you're good to go. Rotate your iPhone to landscape and Fantastical shows you the new week view, making it easy to see your entire schedule at once. Tap and hold on an event to quickly create or reschedule an event. Pull down on the DayTicker or calendar to reveal search and instantly locate your events past, present, and future. You can even focus your search on title, location, or invitees. And just like the event list, tap an item to display its details. Fantastical also includes search for all of your events or reminders, as long as the events are synced to your device. Use Peek and Pop to preview your events and reminders, making it even faster to check up on your schedule. Fantastical also has a 3D Touch Quick Action menu. Instantly add to your schedule plus see upcoming events right from your home screen. 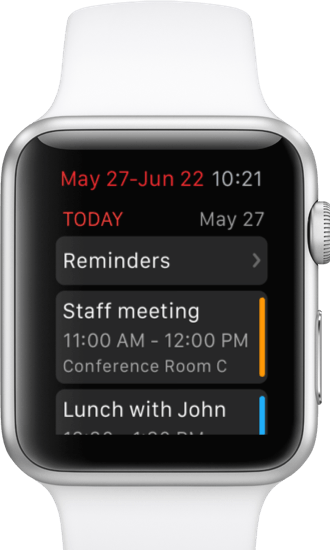 Fantastical comes with an Apple Watch app, ensuring that Fantastical is always there for you. 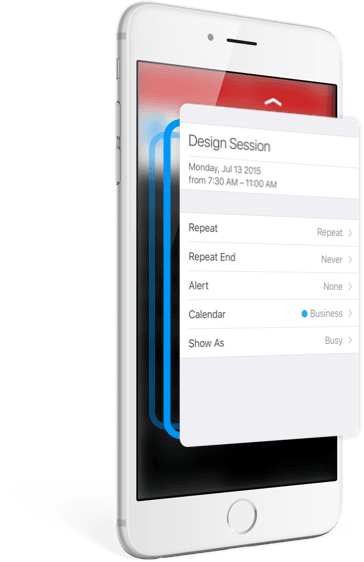 Fantastical supports iOS 8's interactive notifications, so you can swipe or pull down on a notification to quickly snooze an alert or complete a reminder. Fantastical is the best thing that’s ever happened to my iPhone’s calendar. … if you liked the first version, you're going to love the new version. Fantastical is one of those apps that just works. Love it. 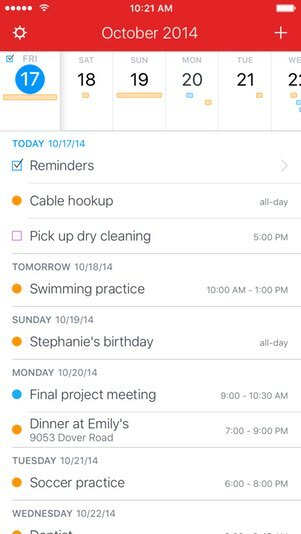 … Fantastical 2 is not only the absolute best calendar app on iOS, but the best reminders app as well. 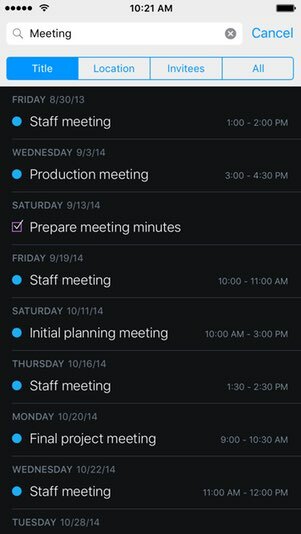 … if you need a pure replacement for the iPhone's stock calendar-app, Fantastical 2 is your best bet. 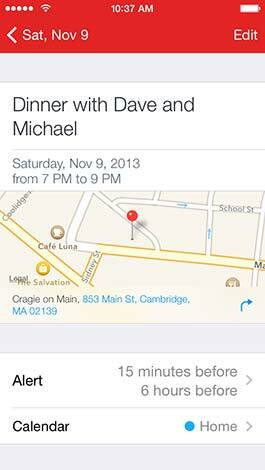 Great iOS 7 update to my favorite iPhone calendar app. 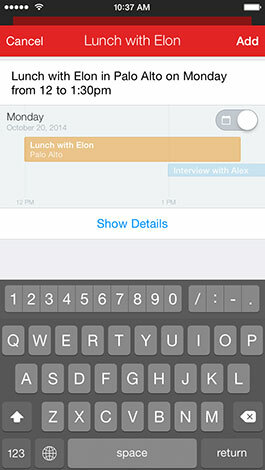 Looks great, works great, and now integrates iOS reminders. Fantastical is also available for your Mac and iPad as separate apps which all sync seamlessly. 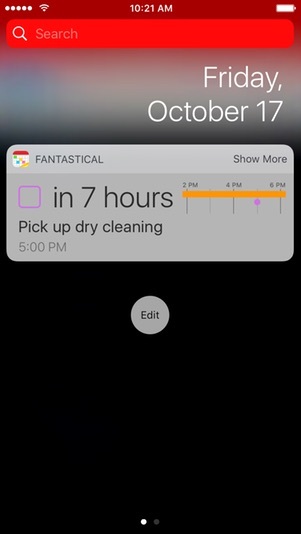 Fantastical for iPhone also comes with an app for your Apple Watch. 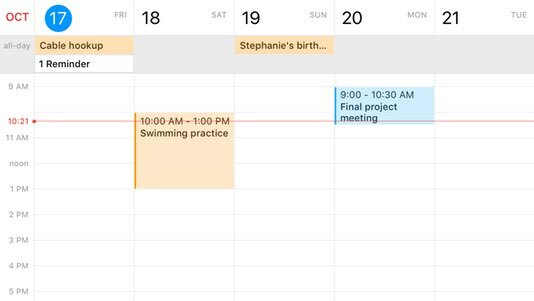 Discover your hidden scheduling superpowers.